I’m so glad to letting you know that I’ve just got back edited Kristal collection, which is a part of my book, but we agreed that I’ll make it available as soon as possible ;o) Not to mention that you will see a sneak peek of book layout and find a book name on these pattern’s pages! …. 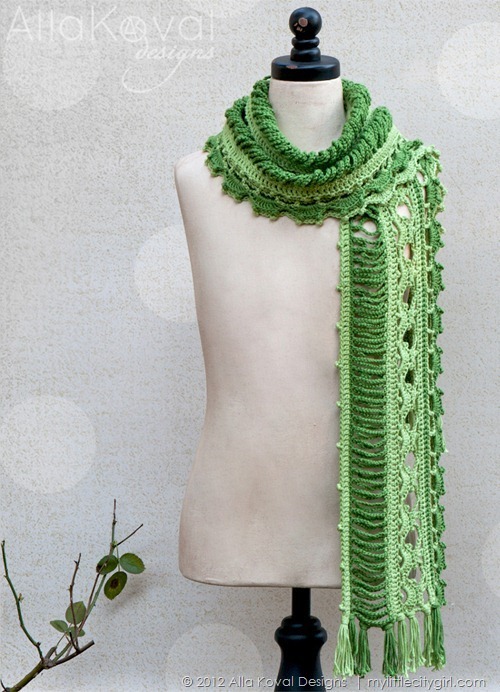 and hopefully the Dryad Scarf too—let me see. The blanket is SO delicate looking. 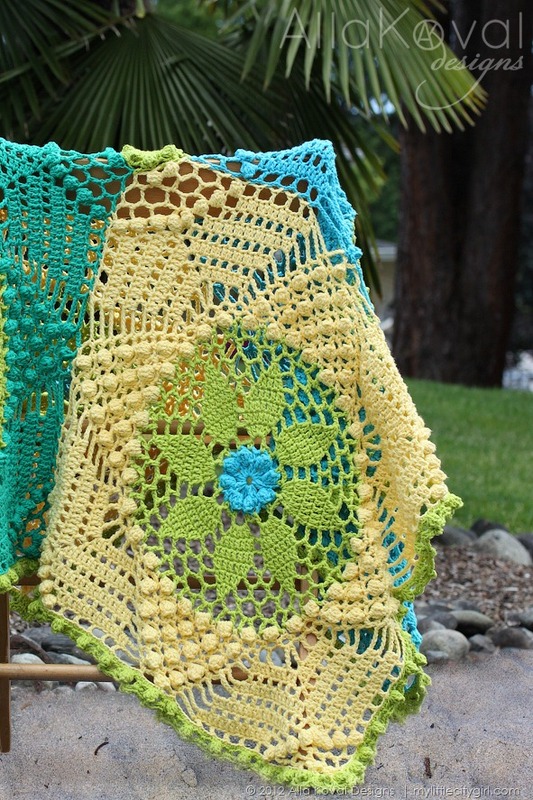 It reminds me of a patio umbrella I made years ago-both gorgeous-I can’t wait to make the blanket. I also have a great granddaughter that I’d like to make the dress for. Excellent, excellent contributions! where can i find the silver lace blanket directions? All your designs are breathtaking! Your designs are the best! Warmest wishes for you and this great book. It looks like it will be polished and professional with beautiful and inspiring projects. Here is to your great success! Alla, I just love your designs. My granddaughters are so lucky to have so many of your creations. Can’t wait for the book. I have a five week old granddaughter who has been in the NICU since birth and would love to wrap her up in this beautiful blanket and bring her home. Saddly she wont be home for at least three more weeks, plenty of time for me to make this for her. Thanks Alla your patterns are well written and easy to follow and understand. I love the Dryad scarf. It’s the perfect scarf for me to enter in next year’s fair. Has that pattern been released yet? 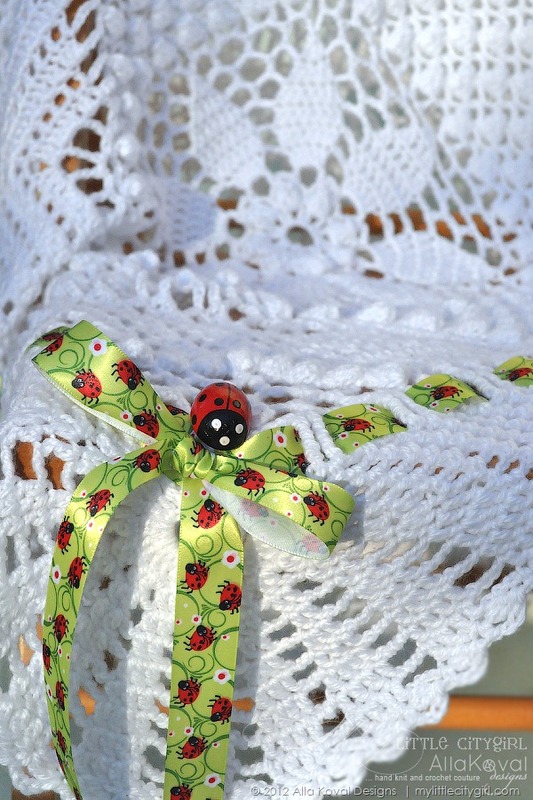 « Imagical Seasons: New Patterns, Giveaway + MORE!